Edward Townsend Wright grew up in the suburbs of Washington D.C. where his father worked as mechanical engineer. To keep his young son busy, his father devised a project that grew out of his engineer's mind. The project entailed disassembling one of his father's World War II military watches, categorizing every piece, and reassembling it to working order. It took him nearly four months to complete the project, but in the process he became fascinated with design and workings of mechanical timepieces. 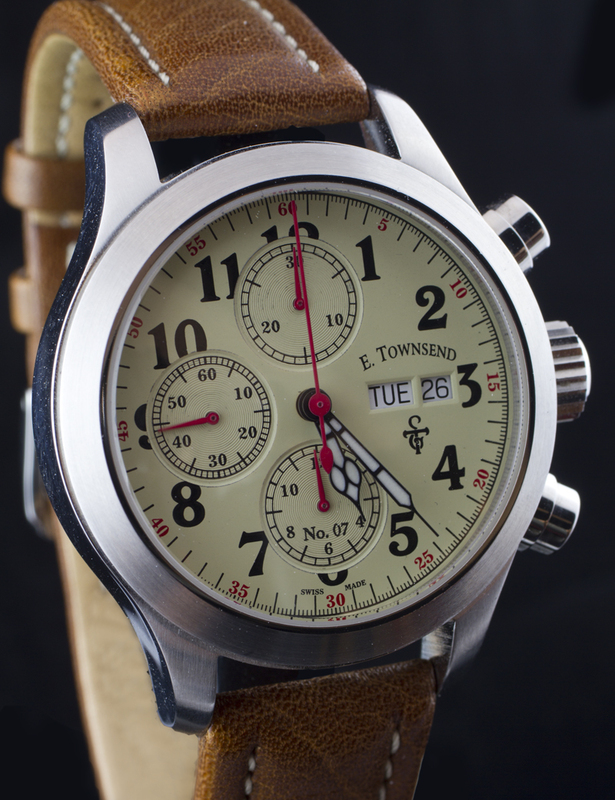 After a career in architectural building and design, and owning fine retail stores, the E.Townsend watch line emerged. Now over 12 years old, the pursuit for perfect modern horology combined with a vintage heritage is the E.Townsend Watch Company. Always creating new timepieces, for the novice watch collector to the most seasoned high-end watch aficionado. Copyright 2013 The Trinity Collection/E. Townsend Watch Collection.